Britains prefers Baldrick to handle Brexit negotiations, rather than any Tory or Labour politician, according to an overnight poll. 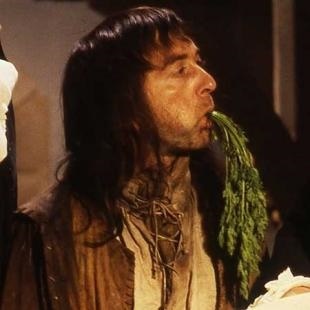 Given the options of May, Davis, Corbyn, Farage, or Baldrick, respondents overwhelmingly chose Baldrick as ‘at least he has a f*cking plan, which is more than you can say for the rest of the slimy lizards’. Details of Baldrick’s plan are sketchy, but it is believed to be ‘a plan so cunning, you could pin Michael Gove on it, and call it a weasel’. Squirrel Lickers Arms publican Eddie Grudgingly organised the poll, and he bristled at suggestions it was unscientific. “Margin of error my arse, the poll was supervised by WPC Flegg and we used an app on my phone to count the 27 votes. ‘Baldrick’ won easily with 24 votes, well ahead of ‘don’t know’ on 3, and ‘don’t care’ with two votes” said Eddie. Harold Mayor Rufus B Jackson confirmed he voted for Baldrick due to his many centuries of experience. “Merkel and co would make mincemeat of the likes of May, Corbyn, or Farage, which is why the only credible option is Baldrick’s turnip-based diplomacy” said Mayor Jackson.